Add functioning email forms in your video! 2. VMP allows your videos to be completely interactive, you can even stop a video from playing until someone opts-in or shares your video. Kudani – all-in-one desktop content marketing software. 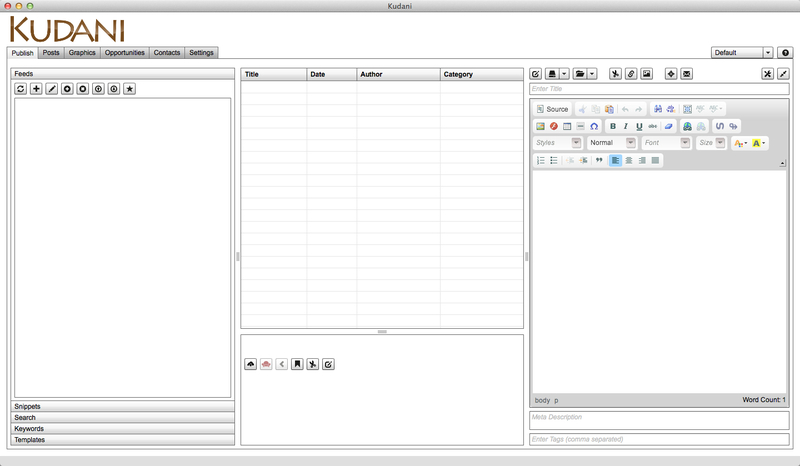 We’ve updated the editor which is faster and more aligned with the overall look and feel. We’ve added a spell checker. A new image editor so that you can edit images found in pixabay (and others) and make them look less that a stock image and more ‘your own’. Featured images is now fully supported when you post to your blog. Kudani runs on the Adobe Air platform therefore is compatible with both Mac and PC.